The striking purple can called to me from the shelf. "Buy me, and then review me!" It said, so I grab the can and instinctively read what’s written on the label. In all honesty I would still make the purchase and do the review, even if the ingredients were questionable. I am pleasantly surprised by what I find to say the least. 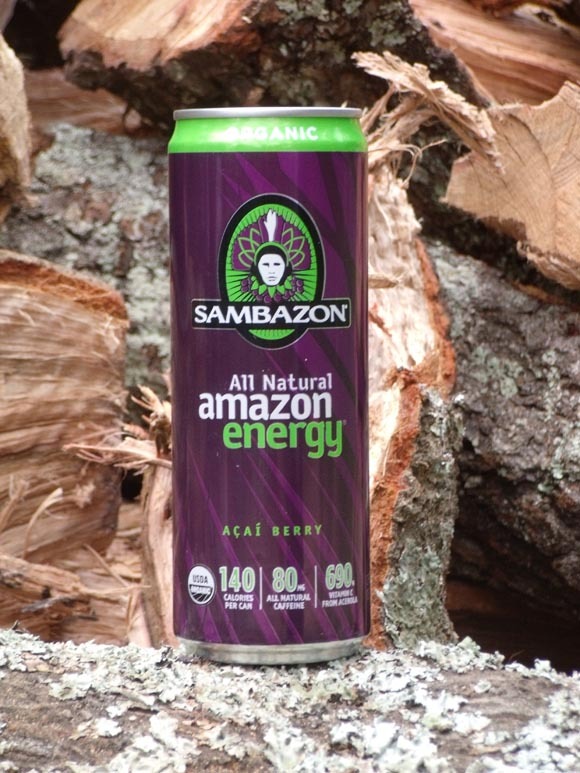 Sambazon All natural Amazon Energy is the beverage at hand, and Acai Berry is the flavor. All of the ingredients are organic and it’s made with natural green cane juice and other cool stuff which set this beverage apart from most other energy drinks. Eager to drink this potentially yummy discovery, I lay money down on the counter of the swanky bistro, take my change, and cart my newly acquired drink out the door. So I open the can and take a big sip. This actually tastes decent. The Acai berry juice is clearly discernable and is a unique flavor to my taste buds. For those of you who are unfamiliar with this exotic berry, the best way I describe its taste is like mild grape flavor. The carbonation is light and just right for the beverage. After a few more sips I realize that there aren't any drawbacks to this drink, believe me I looked for some. The can’s contents dwindle and the taste and the carbonation have remained strong. Overall I like what I've seen from Sambazon All Natural Amazon Energy Acai Berry, and would buy it again. Final review: Buy a bottle! All natural and organic ingredients combined with a decent price make this stuff a great choice if one is interested in a healthy energy drink at a reasonable price.